1. Mix mayo ingredients together and set aside. 2. Cook onion and red pepper in oil, over medium-low heat, until soft and light golden in color. 3. Spread thin layer of mayo on bread slices and place other ingredients over mayo. 4. Top with second slice of bread. 5. 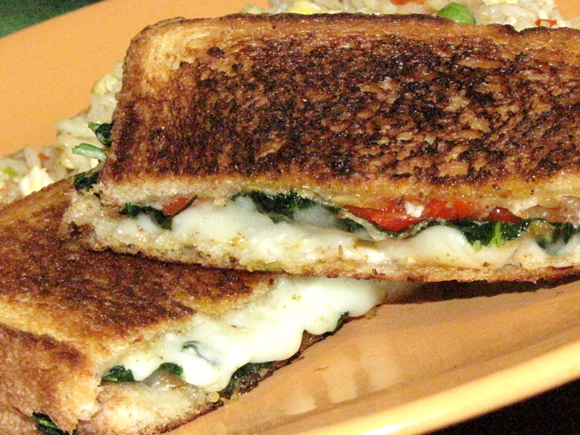 Spray non-stick pan with a little cooking spray and cook sandwich until golden brown and cheese is melted.